We invite you to explore India - the Land with infinite beauty ! Whether you soar high into Himalayas or peer under the ruins of the Ancient monuments dotting the landscape of India, you will cherish the experience long after your visit ! 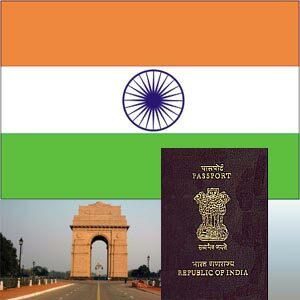 This India Travel Guide on Indian Visa Documentation is free from any commercial interest! This site is dedicated to promote India - the vast subcontinent, its glorious past, magnificent landscape and its infinite variety. All non Indians except nationals of Nepal and Bhutan need visa to enter into India. The different types of visas to India are tourist visa, business visa, student visa and transit visa. Look at various documentation needed for Indian visa. Tourist visa: An applicant has to submit the visa fee, two identical passport size photographs, filled-in application form and a passport valid for a minimum period of 190 days with at least two blank pages. Business visa : A valid passport with a minimum of 190 days and at least two blank pages, correct visa fees, two identical passport size photographs and filled-in application form. The applicant must also submit an original signed letter from the company explaining the nature of business and duration of visit to India, a signed letter of invitation from an Indian company on their official letterhead stating the purpose of visit and duration for which the visa is required. They are also required to give an undertaking stating that the applicant will not do any media or media related work during his/her stay in India. Student visa : Passport valid for a minimum period of 190 days and at least two blank pages, correct visa fee, two recent identical passport size photographs, filled- in application forms, letter of admission from a recognized Indian educational institution stating the duration of the course and a bonafide letter from the college, receipt of fee paid to the school/college and document showing financial support for the tuition fee and stay in India. Transit visa: A valid passport for a minimum period of 190 days with at least two blank pages, correct visa fee, two recent identical passport size photographs, filled-in application form and evidence of onward travel outside India, with confirmed air tickets for onward journey. Persons originating from Afghanistan, Pakistan, Bangladesh, Sri Lanka and China shall produce additional documents for visa. Similarly those not holding UK passport or holding dual nationalities shall produce additional documents. For instance persons holding a Pakistani passport shall have to submit five sets of specific applications forms with one identical photograph on each form, a notarized invitation from relative in India, OR unemployment allowance letter/ disability allowance letter/ benefit letter copy of employer or chartered accountant certificate, three months bank statement, and they can enter through only any of the three airports in India namely Delhi, Mumbai and Chennai and one land route of entry - Attari. Persons holding Bangladeshi passport need to submit specific application form, two photographs, a copy of employer or CA certificate OR unemployment allowance letter/ disability allowance letter/ benefit letter and a copy of three months bank statement. Similarly, those holding Sri Lankan and Chinese passport need to furnish additional information form along with the general visa application form. A Slovakian passport holder can apply for three months singe-entry visa. For liquor permit, the applicants shall submit the prescribed form along with the visa application, if traveling to the State of Gujarat. The processing time varies according to the type of application made. The time duration for grant of a visa is also at the sole discretion of the High Commission of India and its consulates and some may take longer while some others may be processed faster. It normally takes about 10 working days. The fee varies according to the nationality of the applicant. Visa fees are non-refundable and subject to change without prior notice. Personal cheques will not be accepted. A tourist visa is valid for a period ranging from six months to a year. Business visa may be up to a period of two years. Transit visa is normally for about 15 days and valid for 3 months from date of issue. Long term visas may be up to five years although individual visits are not expected to exceed six months. The photographs should be in color and should be taken against a light background. White is preferable. The features of the person are to be distinguished and in contrast against the background. The photograph must be clear and of good quality. It should be printed on normal photographic paper. The size is 45 mm x 35 mm. The face should be fully seen and no sunglasses, hat or cap are allowed. The face must be in center of the frame. This may be available to the applicant if one of their parents or any one of their grandparents were previously citizens of India. The applicant must also be a citizen of a country that allows for dual citizenship. This overseas citizenship allows unlimited stay in India with few restrictions. This is a special status that is available if an individual is married to a person of Indian descent. This entitles him/her to a visa-free entry into India for fifteen years. Normally, he/she can stay up to 180 days on each visit and can exceed this limit by registering at a Foreign Registration Office (FRO). US citizens are eligible for a 10 year tourist visa. But each time one cannot stay in India longer than 180 days. They have to leave the country after 180 days but can come back in again without obtaining another visa. Tourist visas are non- renewable. If anybody seeks to stay longer in India, they have to leave the country, get a new visa and then return, except may be in case of genuine emergencies. Overstaying in India is a crime and it will be viewed seriously by authorities. This also entails future visa applications to be refused. The common way to extend the stay is to go to a nearby country beyond 6 months and then apply for another visa. Sri Lanka and Thailand are popular options for this. For those who wish to study at recognized institutions in India, student visas are available. They are valid for the period of study in India, up to a maximum of 5 years. Business visa entitles those coming to India to do business but are continuing to be paid by an overseas company. They are usually granted multiple entry business visas valid for up to 6 months, to 5 years. However, the period of stay in India for each visit should be limited to 180 days. Employment visa is for applicants who intend to be paid in India by an Indian company. Employment visa can be extended as long as he/she remains employed by the company. Such visas are held by skilled professionals working in technical fields. There are no permanent residence visas in India. There are entry visa (X visa) which has the advantage that it can be renewed within India, without having to leave out of country after 180 days. These are normally given to foreign owners of property. But with the rules of buying property stricter than before, these visas are hard to come by. To purchase a property in India, the non-Indian has to first stay for a minimum period of 182 days in one financial year (from April 1 to March 31). The person cannot stay longer than 180 days and for a single tourist visa, he/she may have to leave the country and come back for another visit within the same financial year to meet the requirements for purchasing property. After the person has signed all the necessary documents for purchase of property, he/she may go back to the home country and thereupon apply for multiple entry visa to India. For instance, may Britishers who purchase property in Goa without paying attention to the details were forced to sell them in recent years. Therefore, it is imperative that necessary procedures are adhered to if this visa route is taken. Citizens of about ten countries are entitled to a single entry Indian tourist visa for a period of 30 days upon arrival to India. These countries are Finland, Japan, Luxembourg, New Zealand, and Singapore and countries of South East Asian Nations such as Cambodia, Philippines, Vietnam, Laos and Myanmar. Such visas are issued only at Delhi, Mumbai and Chennai and Kolkata airports. Only two visas will be granted to tourists each year and there is a two month rule between visas which still applies for Indian visas. In many countries of the world, the Indian Embassy has outsourced private processing agencies for visa application process to make it more efficient and time effective. When applying for an Indian visa, the applicant has to obtain a visa application from the Indian Embassy in their country or complete an online application form on the website of one of the visa processing agencies where possible and submit the necessary documents and fee.